Our Cerec Crowns are beautiful porcelain restorations. Digital impressions are taken and CAD/CAM technology allows us to mill your crown in a single visit. Since this treatment can be done in one visit, this means anesthesia is administered only once! 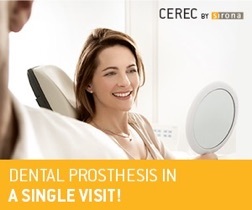 Cerec® restorations are biocompatible, plaque and bacteria resistant and have the added benefit of translucency on an x-ray, allowing detection from future problems. The result is a perfect fitting Crown or Porcelain Veneer —globally, its quality second to none! Beauty, Perfection, Convenience.